Exercising a motherly care for her poor children in all things and through all things the Virgin Mother calms our trembling fear, enlivens our faith, supports our hope, drives away our distrust, encourages us in our hesitancy. Adam, you were afraid to approach your Father; you were terrified at the mere sound of his voice and tried to hide amid the trees. And so he gave you Jesus as your Mediator. What shall such a Son not be able to obtain from such a Father? Undoubtedly he will be heard because of his reverence, for the Father loves the Son. Surely you are not afraid to approach Jesus as well? He is your Brother and your flesh, tempted in all things as you are, yet without sin, so that he might have compassion. And this Brother has been given to us by Mary. Your birth, O Virgin Mother of God, proclaims joy to the world, for from you arose the glorious Sun of Justice, Christ the Lord. The prudent advice for all Christians is to go to the Maternal Heart of Mary with all our needs and place ourselves in her keeping. Our hearts should never be far from her, trusting always in her real interest in us and our needs. In celebrating Mary’s birthday we recall that she is the gateway for us to all the healing that only Christ can give. Today we celebrate the Feast of the Visitation of the Blessed Virgin Mary. It is the in-breaking of God’s joy in history. 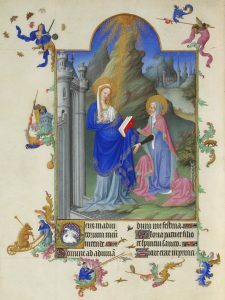 The theological explanation of the Vistiation reminds us that at the annunciation, the Archangel Gabriel informs Mary that her cousin Elizabeth is six months pregnant. A startling divine gift. Then we see Mary hurrying to visit Elizabeth. An interior in-breaking extroverting itself. I think the key here is Mary’s selflessness and her sharing in the joy of God. Containing the joy she feels is impossible. In her visitation Mary brings the joy of God to both Elizabeth and to John the Baptist who moves in Elizabeth’s womb. As we know, this second of the joyful mysteries of the Rosary is about Joy who desires to expand into our heart and abide there. Let’s pray for the movement of joy in our life today. On this first day of the new calendar year, the Novus Ordo Catholic Church celebrates the feast of Mary, the Mother of God. It is, in fact, the 8th day since the Incarnation and traditionally the Church recalls the Lord’s adherence to the Divine Law with his circumcision. I’d like to highlight something we tend to overlook in our daily journey of faith. 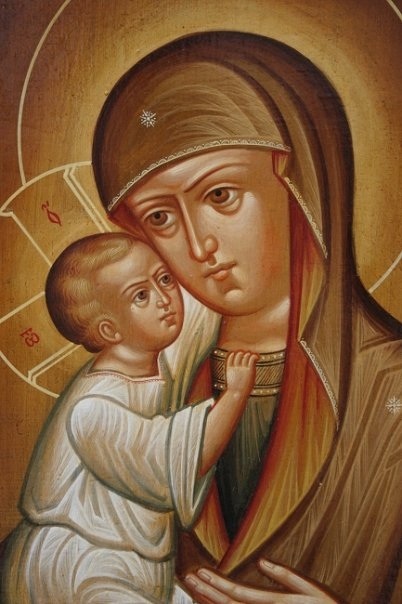 That is, the role of Mary, the Mother of God and the Mother of us all, in this walk of faith. 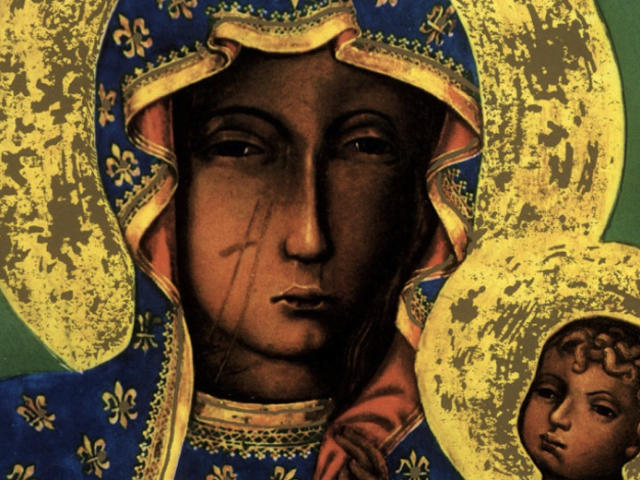 What does Mary teach us? Why is she so very critical to our catholic life? Recall, the Church has some central themes in her theology that we need to attend to, namely, the Church is approached from the perspective of the Marian dimension in light of our discipleship. I am always reminded the intimate connection and relationship that exists between and among the Blessed Mother and earthly mothers. Each has a strong hand in my doing the right, the good and the beautiful. God bless Mom, may God care for our grandmothers: indeed all mothers! Our Lady of Fatima, pray for us. On May 13, 1917, Mary, the Mother of God, known also by a title of “Our Lady of Fatima,” revealed herself to three shepherd children in a small town in Portugal. 100 years later we firmly recognize and follow the lead Jacinta, Francisco, and Lucia who gave us a renewed opportunity to enter into deeper communion with our Lord and Savior Jesus Christ through His Mother. So, today we celebrate the feast of Our Lady of Fatima with special solemnity, as we mark the 100th anniversary of her first apparition.